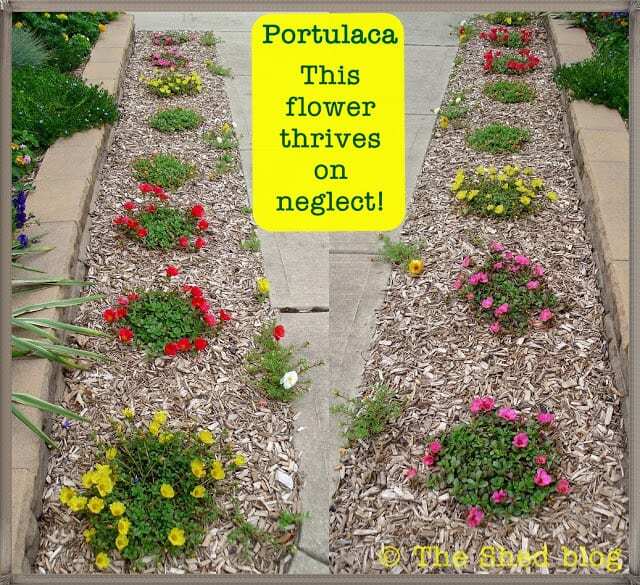 One of my most popular posts so far here on my blog is Portulaca: This plant thrives on neglect! 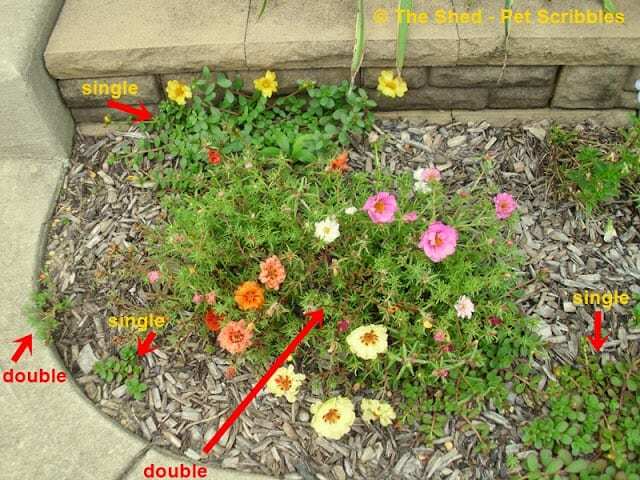 I wrote it last Summer, and showed you both types of Portulaca – single flowers and double flowers. 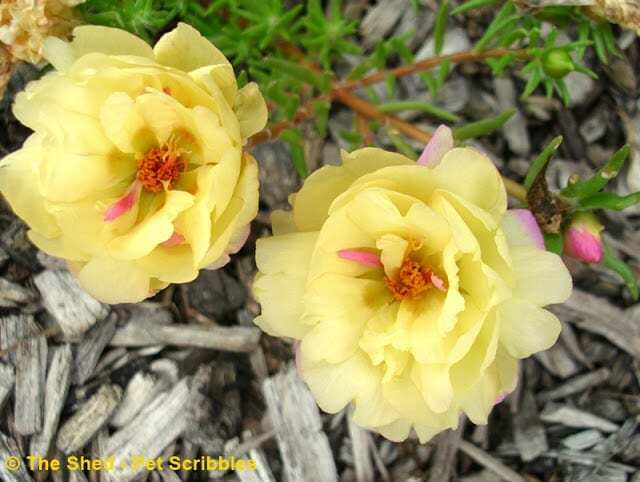 You can get complete planting and care information for Portulaca by simply clicking on the link above. Last year we planted the single-flower version (seen in the image above), and had a few of the double-flower kind pop up from seeds dropped the previous year. It was nice to have bright patches of solid color, however, I missed the crazy colors you can get all on the same plant with some of the double-flower varieties. 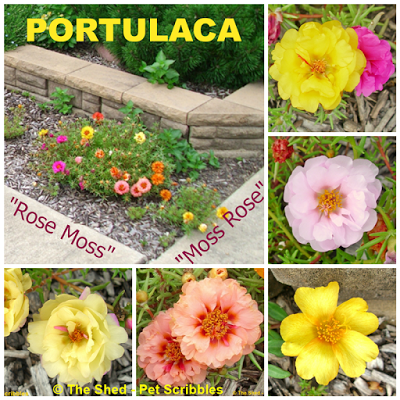 Now we have a few single-flower varieties of Portulaca popping up from last year’s dropped seeds! 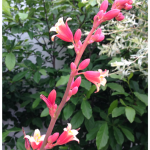 Here’s a close-up image of one of the single-flower plants that sprouted up. 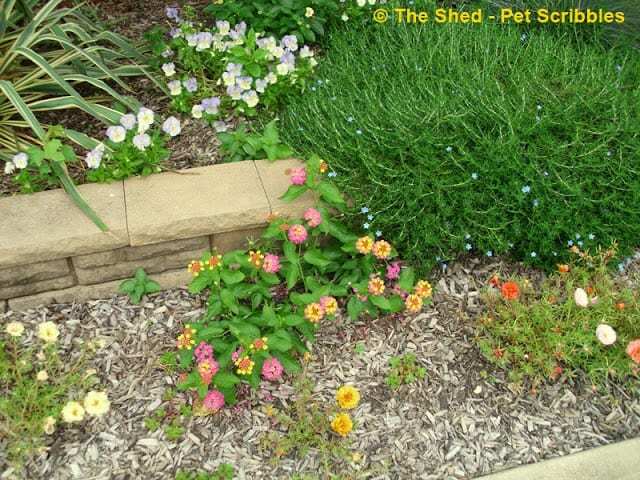 Although Portulaca is an annual in most parts of this country, I look forward each year to the extra bonus when these surprise seedlings show up in my garden beds the following year! 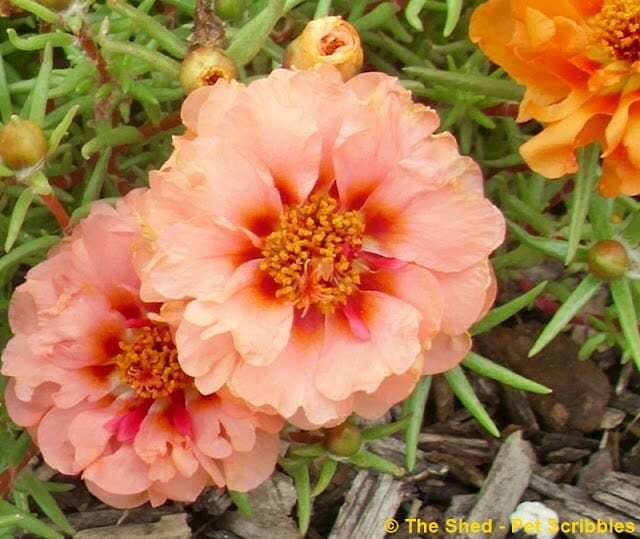 You might still be able to find Portulaca at your local garden centers, depending on what part of the country you’re in. So if you want something that is 99.9% carefree? 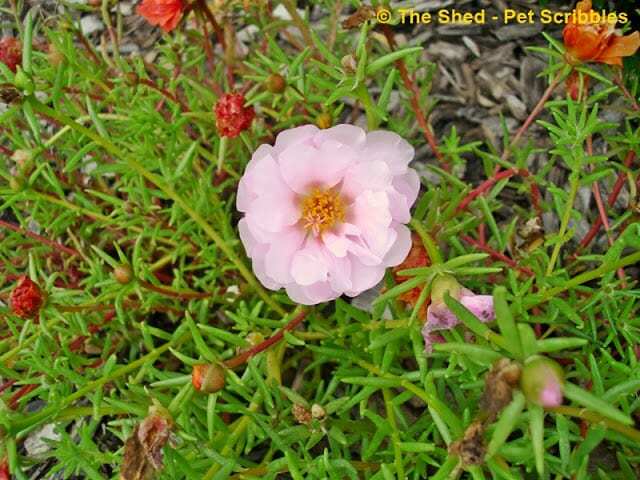 Plant some Portulaca now! 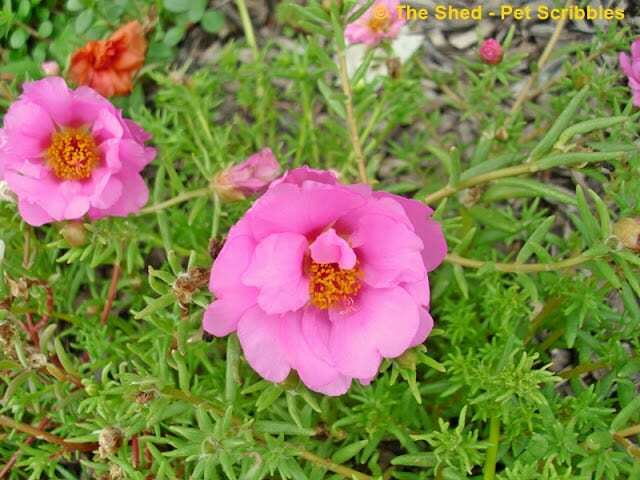 It’s also called Rose Moss or Moss Rose. Remember my post on Lithodora? Look how bushy it has become, above! Here’s some close-ups of the gorgeous double bloom varieties of Portulaca . . . 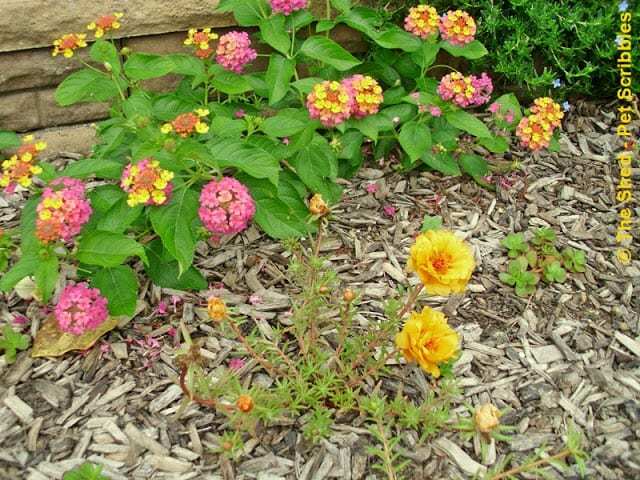 I planted Lantana Landmark Sunrise Rose in a few places just to help fill in any planting gaps between the Portulaca plants. 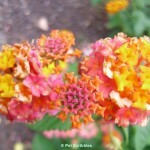 The colors of the Lantana and Portulaca match perfectly! 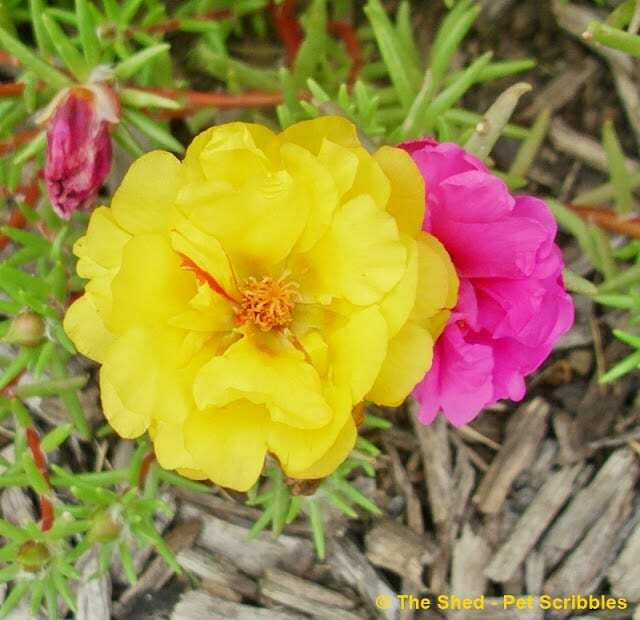 Do you like the bold colors of the single-flower Portulaca? 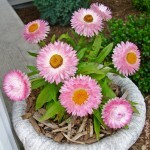 Or do you like the multi-color blooms on the double-flower varieties? 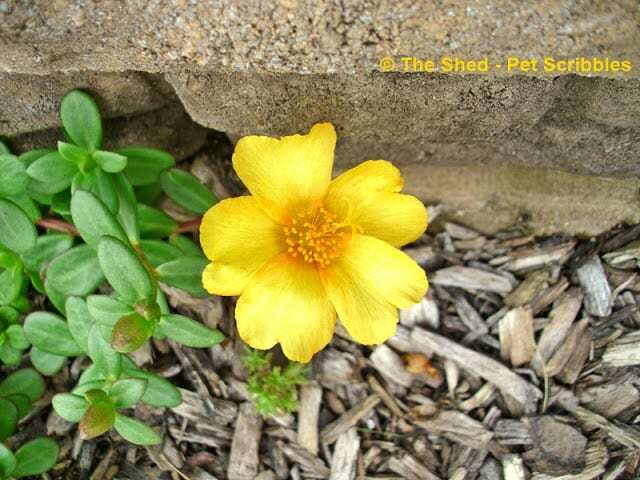 And don’t forget – you can learn all about Portulaca in my blog post here: Portulaca: This plant thrives on neglect! 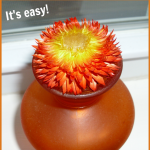 Dry Your Own Strawflowers – It’s Easy! I love this flower. 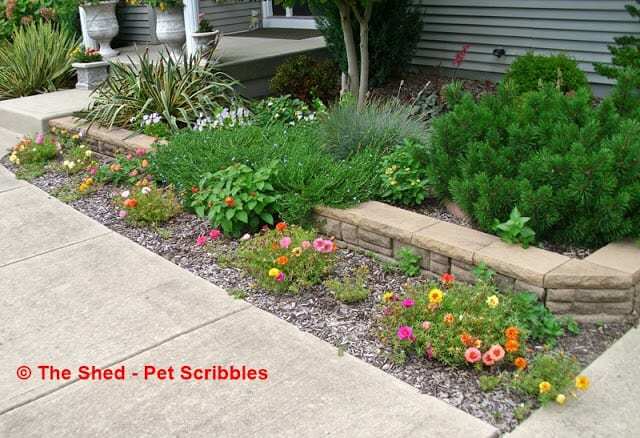 It does well in the dry beds around our house and it looks so colorful. As an added bonus the deer don’t seem to like it and it remains untouched (a big plus in this area). 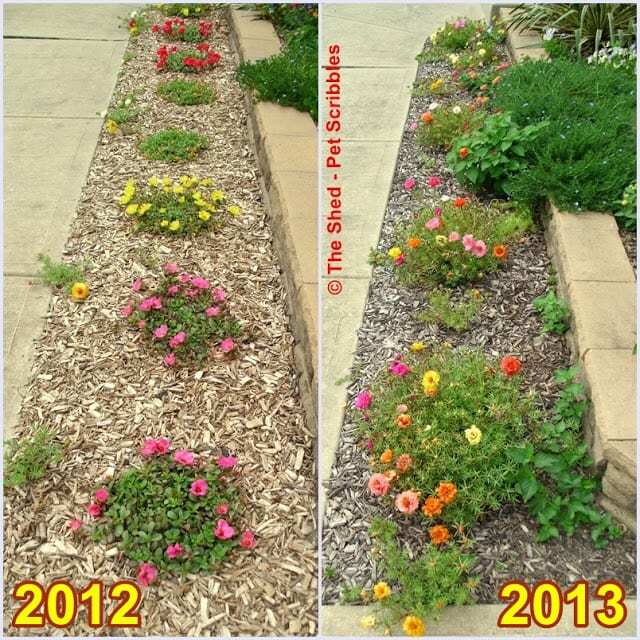 Your flower beds look lovely. Thanks so much Sharon! Glad to hear that the deer don’t seem to like it, because in some parts of the country it seems like deer will eat just about anything! I NEED a plant that will thrive on neglect. 🙂 Going to check this out! You’ll love it Vivienne! I just know it! 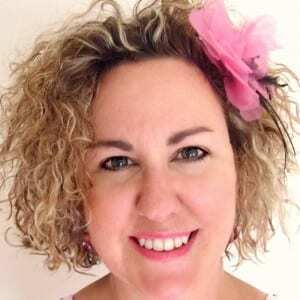 Wow Laura this is an awesome post! 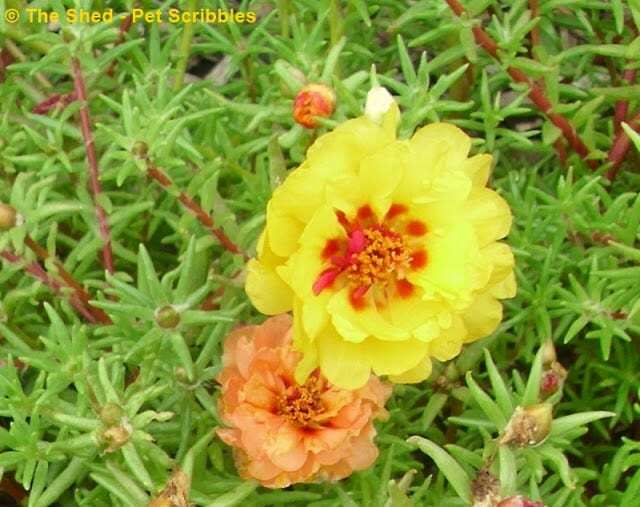 I didn’t know about Portulaca. I am great at neglecting plants so I better get some portulaca asap! Pinned! Thanks for pinning this Malia! 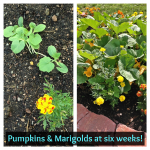 As I mentioned to Vivienne above, you will love this plant! The only time you’ll spend with it is gazing at how pretty it is!